Why isn’t it good? I mean, come on. It’s 1998, Brazil are the best team in the world (don’t @ me, France), and this kit is divine. I love most Brazil kits. The 2004 kit (Total 90) is actually one of my favourites of all time, but as I was limited to World Cup kits, this is the one. The yellow is regal in world football, and I think that on this particular kit, the green trim is spot on. Perfect. The birth of Ronaldo at the World Cup. 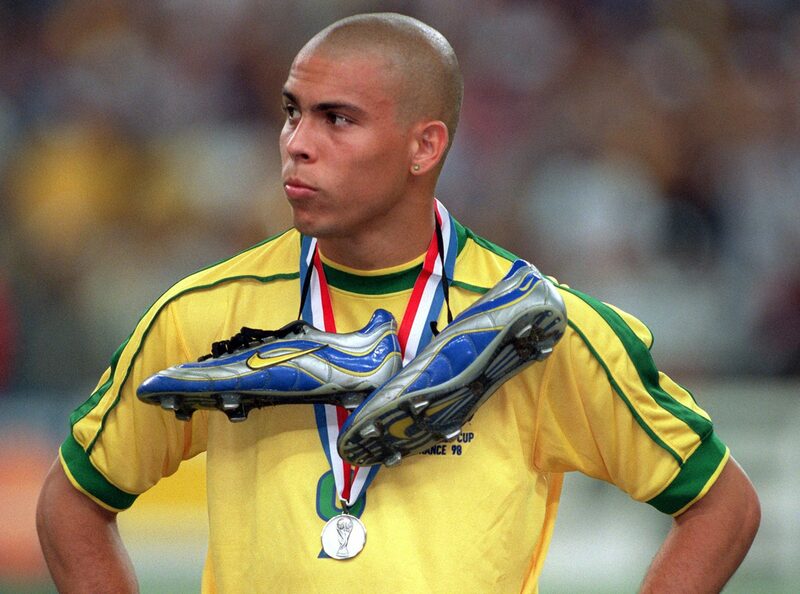 He’s one of the greatest players of all time, and in 1998, he was the best striker in the world. His goals, his skills, and his all-round play made this kit a delight to watch. A solid 8/10. It’s simple, I’ll give you that, but it’s classy at the same time. Which non-football related function would I wear it to? I’d wear it most days, if I could. But definitely the beach. I can picture it. Walking along the beach, the sand getting in between your toes, and you’ve got this shirt on. R9 on the back. A ball lands at your feet. You look up. You can’t help but join in the game. You boss it. Jogo Bonito.